The Tamaqua American Legion Post 173’s Annual Veteran’s Day Parade is set for this Saturday, November 7, 2015. Staging will start at 9:00 AM at the old MAFF Motors (900 East Broad Street). Prior to the parade, members of Tamaqua Legion Honor Guard will fire a volley over the Tamaqua War Memorial. The parade will start at 10 AM and continue west on Broad Street through the borough, ending at the intersection of Lehigh Street. Following the parade, there will be a brief service outside the Tamaqua American Legion Post, 206 West Broad Street. Parking will be restricted along the parade route. Leading this year’s parade behind the Tamaqua American Legion Color Guard will be this year’s Grand Marshal Charles “Charlie” Linkhorst, 79, of Lake Hauto, who enlisted in the Army at age 17 and served in the Korean War. 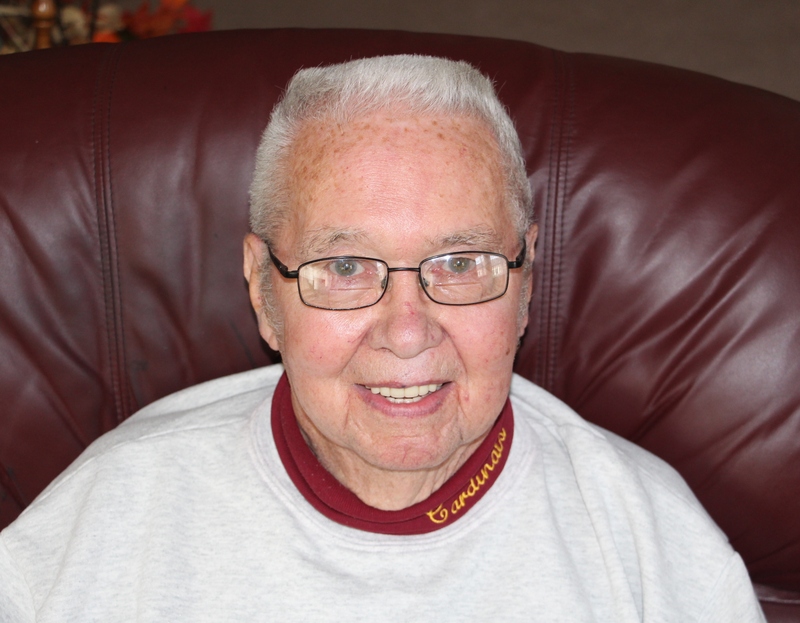 In addition to serving in the military, he built a long career at Atlas Powder Company and eventually joined numerous community organizations, of which he serves as life member. Some of which include 50-year member of Tamaqua American Legion, 50-year member of Tamaqua Elks Lodge, and 60-year member of American Hose Company. He is also a member of the Tamaqua Rifle Club, West Penn Rod and Gun Club, Moose Lodge, and other veterans organizations. Surviving 2 strokes and 6 bypasses, Linkhorst said he keeps his smile and credits Jean, his wife of 58 years, for his longevity. Jean is well known for her work as a nurse manager from the old Coaldale Hospital, now St. Luke’s, and time as a Schuylkill County coroner. Linkhorst also stated his love for his daughters Debbie, Laurie Price, Chris King, sons Ritchie, Scottie, and 9 grandchildren and 3 great-grandchildren. Following Linkhorst in the parade will be 8-year old Ava Murray, this year’s Tamaqua American Legion 2015 Poppy Queen. Parade organizers are encouraging everyone to drive, ride or walk in the parade; to include all veterans, businesses, fire companies, churches, youth groups, clubs, organizations, families, individuals and so on. No pre-registration is required to participate in the parade. Everyone is simply asked to show your support by watching are taking part in the parade. For more information call (570) 668-1234 or visit the event on Facebook at https://www.facebook.com/events/1095044150508710/. There is no rain date. Event is held rain or shine. Click HERE to view the story in the Times News newspaper.